Industrial Laundry Equipment | MVRAM TRADING COMPANY INC. The key factors to your business: Sanitary Barrier Washing Machines. Hygiene is guaranteed by the physical barrier between the entry of the dirty linen and the emergence of the clean linen, which ensures that the clean linen moves forward at all times. 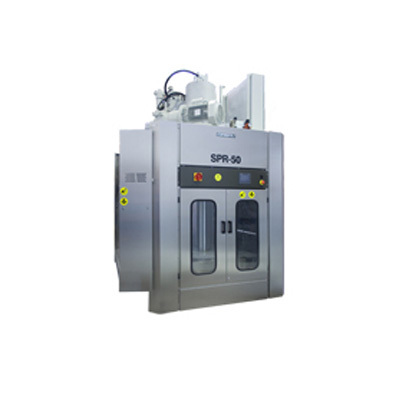 Savings in drying due to the high speed spin (350G factor). Inner and outer drums made of stainless steel to ensure durability, easy cleaning and maximum hygiene. The automation of transportation increases the productivity of the laundry’s overall process. 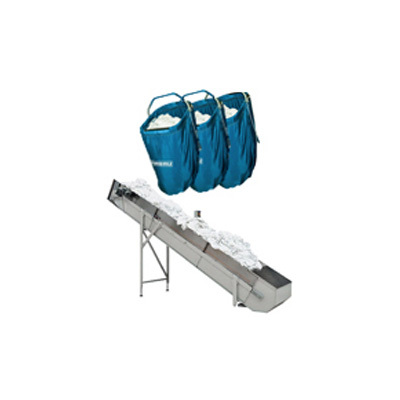 Conveyor belts are the ideal solution for optimising the laundry’s internal logistics. Resistance to humidity and corrosion ensure the belts are very long-lasting. Flexibility: Girbau designs the conveyor belt application suited to your space and distribution needs. 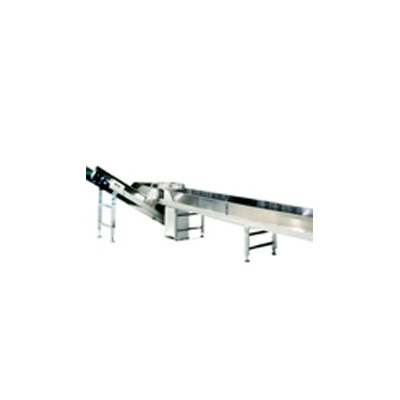 The CED+ elevating conveyor distributes the linen cakes coming from the water-extracting press. In an automated and programmed way, with the cake following the marked out circuit, thereby avoiding downtimes and allowing it to be fully integrated into the batch washer system. The communication with the Batch Managing Tool makes it possible to control and manage the distribution activities, thus improving the efficiency of the overall process time. 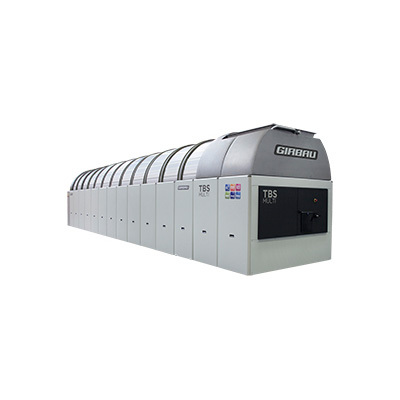 LEADER IN EFFICIENCY Girbau dryer ST1302 has been designed for a complete drying and conditioning of linen and textile products; it is appropriated to process cakes from the batch washer system and also for OPL by adding the air suction loading system. Efficiency. A consumption of only 1 kWh per litre evaporated makes it a market leader in terms of efficiency and ensures that the dryer is more environmentally friendly. Fast. Capable of completing the drying cycle in less than 15minutes. Performance. The new Axial flow system (patented by Girbau) ensures that 100% of the hot air passes through the linen, providing an extraordinary level of performance. In addition, the absence of holes in the drum ensures special care and a longer life for the linen. Spirotilt. Spirotilt is a system patented by Girbau. It increases energy savings by allowing the linen to be unloaded without needing to employ the turbine. Ecoflow. Recirculating the air flow reduces energy consumption. Optimising space. Maintenance is carried through the front and back of the units, allowing the machines to be installed without leaving a space between them. 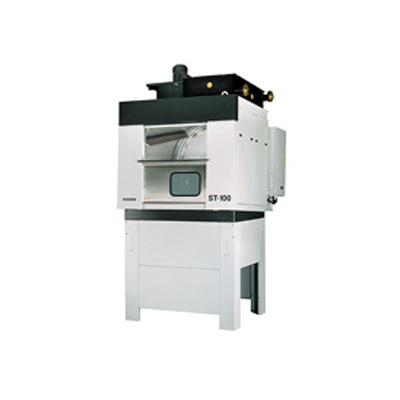 The self-cleaning filter, which is a standard fitting on the ST1302, ensures high productivity at all times. The BMT advanced control software allows precise control of all the drying cycle settings. The infrared sensor, together with other temperature sensors distributed in the dryer, makes it possible to optimise the drying cycles, reduce consumption and have a delicate and precise care of the linen. The Suction Loading System offers a simple manual loading option that is easy and ergonomic, in just over 30 seconds. Drying linen is easy, fast and economical with the ST-100. Its high performance heating and its exclusive Spirotilt system ensure the linen is well positioned and there is optimum penetration of hot air. 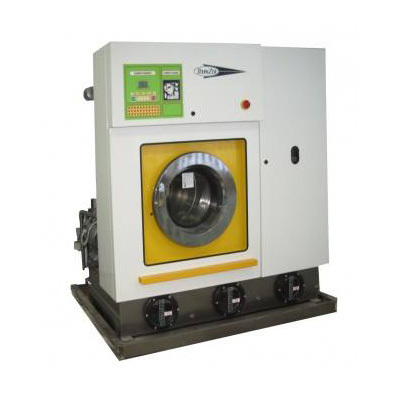 Hard-wearing: The dryer’s sturdy structure ensures that your equipment is reliable and very low maintenance. Easy to unload: The Spirotilt system unloads the linen automatically with the turbine halted and without having to indicate the machine. INFRARED: The infrared temperature detection system allows you to adapt each cycle to each load, thereby consuming only the time and energy required. Drying quality: Programming the drying time and intensity for each load ensures the linen has the desired softness and springiness. ECOFLOW: The gas version incorporates a built-in air recirculation system. 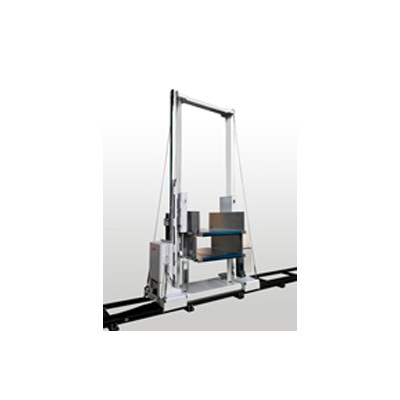 Powerful water extraction, with a press that is adjustable from 0 to 40 bar, allows the machine to work with shorter drying cycles and thereby save energy. Water recovery: The press incorporates a recovery tank with two independent and programmable pumps. Longer-lasting fabrics: The multiple pressures make it possible to choose the pressure required for each load, thus saving time and energy and giving the linen a delicate treatment. In addition, all the metal parts in contact with the linen are manufactured in stainless steel. Adapting to your layout: The press can be located in three positions, at the end of the batch washer, in line, at an angle to the right or at an angle to the left. It can be adapted to any batch washer on the market. 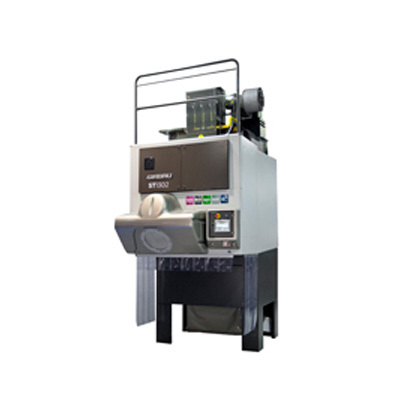 The versatility and adaptability of the GIRBAu batch washer allows you to obtain the desired profitability and results, since it adapts to your laundry’s present and future requirements. Lower consumption: It incorporates an integrated water re-circulation and recycling system that makes it possible to use the water up to three times. In addition to reducing water consumption, it also reduces energy consumption. Less clogging: Transferring the load through a large central opening by rotating the drum prevents any risk of blockage. This eliminates incidents and down time. Longer lasting fabrics: Transferring through a central aperture prevents the linen from tangling, ensuring a gentle treatment even when an intensive washing process is applied. Greater management control: The Batch Washer Managing Tool (BMT) software makes it possible to control all the elements that make up the washing system (load, batch washer, extraction press and dryers) integrally. Greater reliability: The batch washer has Girbau Remote Support factory installed. 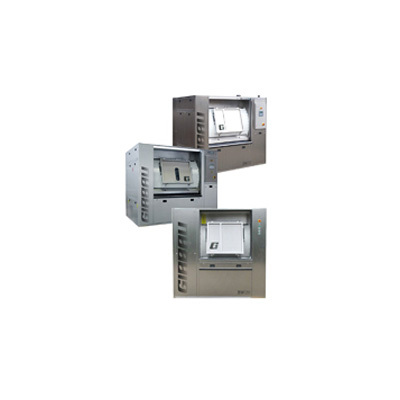 This system allows the Girbau technical service to diagnose incidents in any of the batch washer’s components remotely.